A Merry Christmas to all of our subscribers, readers, clients and suppliers and here's to a very Prosperous 2009, despite the doom-mongers. 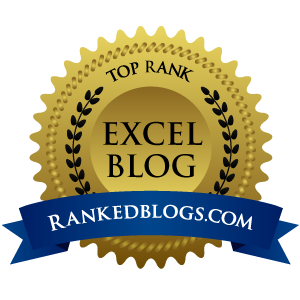 If you are using both Excel 2007 and Excel 2003 in your organisation, as many of my clients are, you need to be aware of backwards compatibility issues. Saving an Excel 2007 file in 2003 format does not guarantee compatibility. There is a compatibility check that is run when you save, but this does not give you the opportunity to make certain things compatible. In particular, a Pivot Table created in Excel 2007 will not work in 2003 unless created in "Compatibility Mode". For reasons best known to Microsoft, this mode can not be switched on in 2007 and can only be accessed by opening a 2003 file. So, if you need to develop a spreadsheet (particularly with Pivot Tables) that has to run on both versions (and you wish to develop it on a 2007 machine), I suggest creating a blank file on a 2003 machine, saving it, then opening this file in 2007 as your starting point. When I tell clients that I can automate complex reporting in Excel so that it involves only a couple of clicks, they invariably assume I am going to use macros. Truth is, I hardly ever do. Macros have their uses, i.e. to automate repetitive tasks, however in most cases the requirement for the repetitive tasks can be removed by better designing the spreadsheet. If you can do what you want without macros, the spreadsheet tends to be more intuitive, easier to develop further and more flexible. Once a macro is used, users tend to be frightened to change anything in case the macro stops working. Use of Pivot Tables in particular can automate a great number of reporting tasks far more elegantly than macros. So, take a look at any spreadsheets that you use that incorporate macros and consider whether there is a better way. I just received a link to this free report from a property investment advisor whose mailing list I am on. Clearly he has a particular inclination towards property investment, but I thought the report was worth sharing for its rather alarming summing up of the current crisis, and the state of the banks. I'd appreciate any comments from any of you once you have read it. Has anyone else received a guide from their bank on surviving the recession? I received one this morning entitled "Trading through the Economic Downturn". "Gamble everything to make sure you get your bonuses and then ask the taxpayer to bail you out."